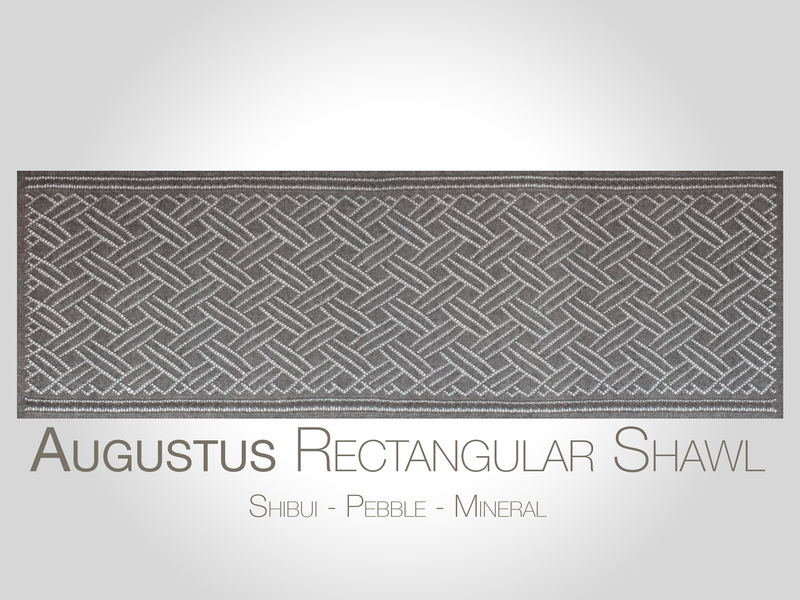 Augustus is an allover lattice design. 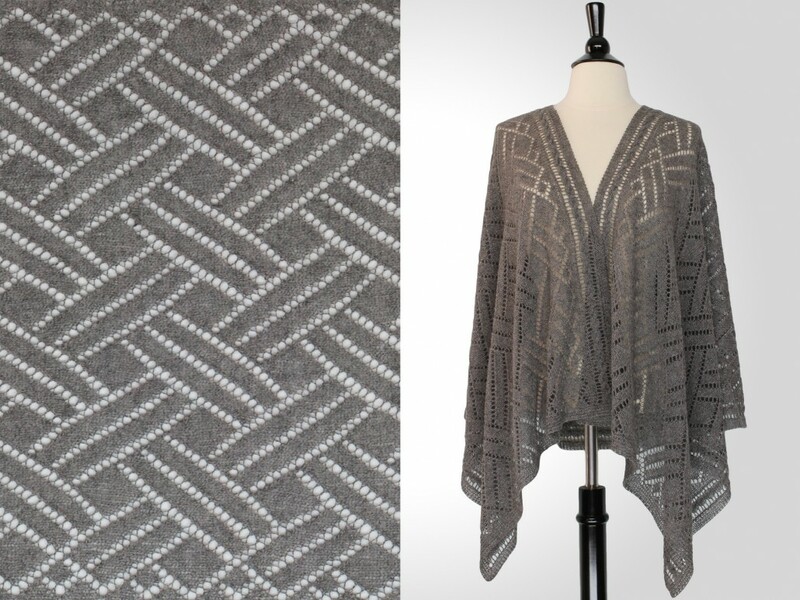 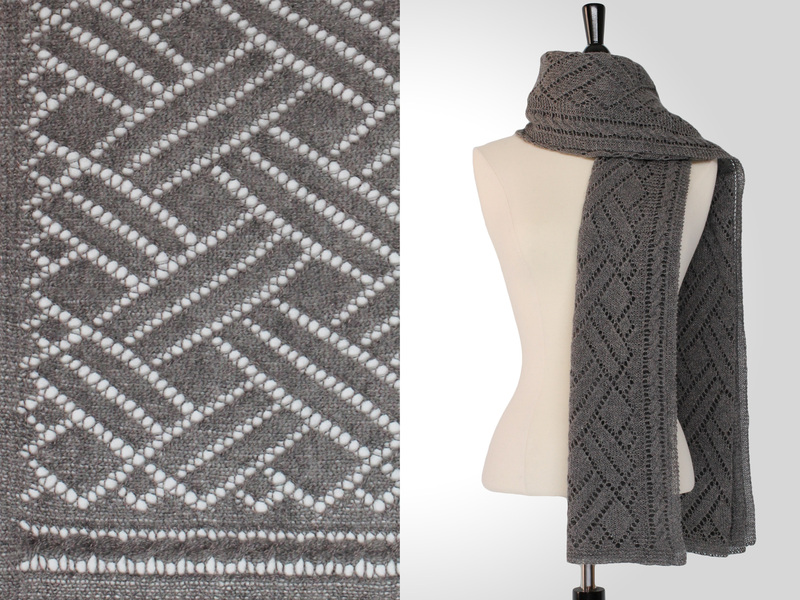 The diamonds and the double stripes create a classic weaving pattern. 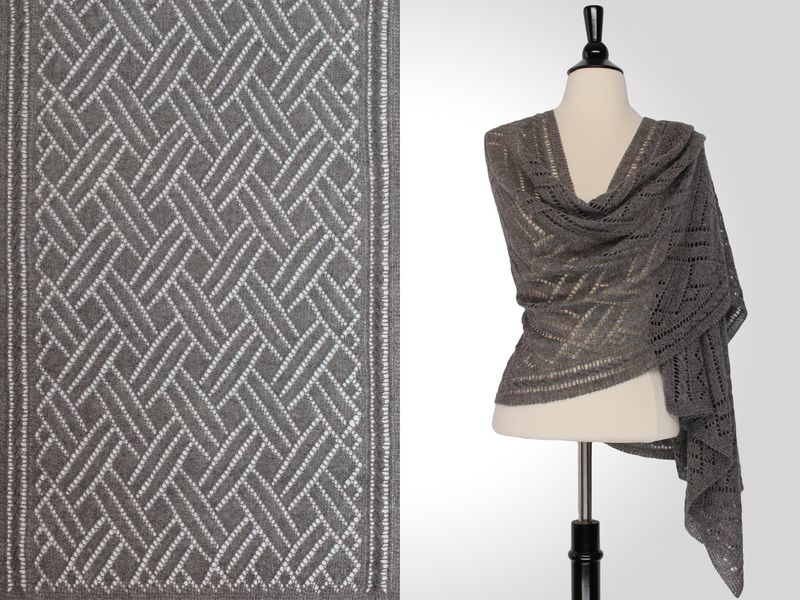 This knitting pattern is also published in Addictive Knitting Shawl Collection 1 (a set of 12 patterns for $19.50 USD) and is also available in SRD N°1 (a set of 4 patterns for $8.00 USD).